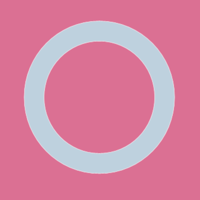 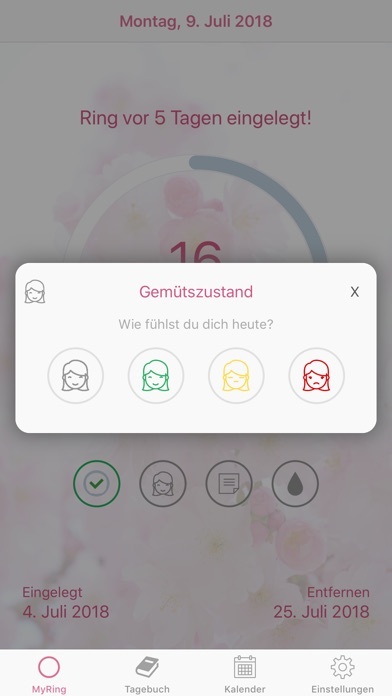 MyRing is the perfect contraceptive ring app, with an intuitive interface and features, you will never forget to insert or remove the contraceptive ring. 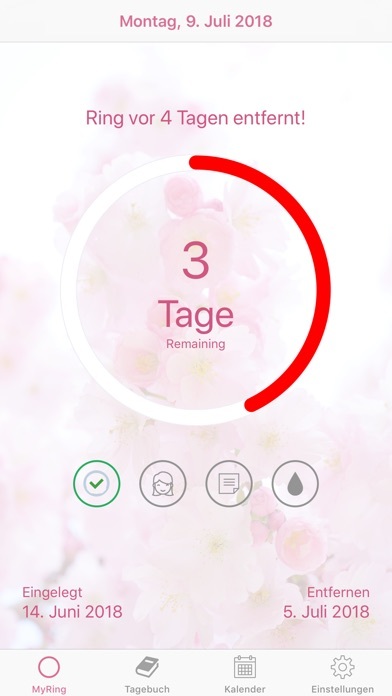 MyRing reliably reminds you to insert or remove your contraceptive ring and you always have an overview of your menstrual cycle. 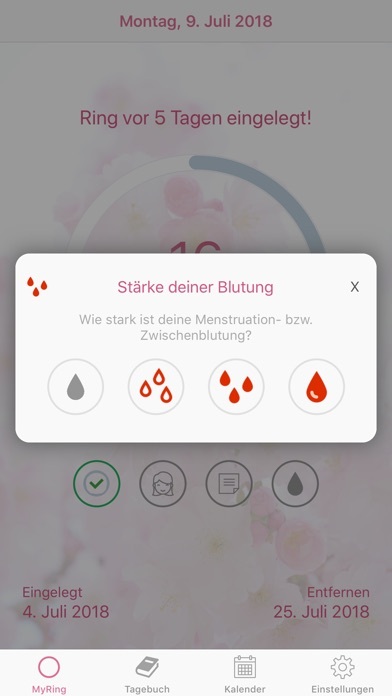 You can record a note, your personal well-being, and the intensity of each day of your menstrual cycle. 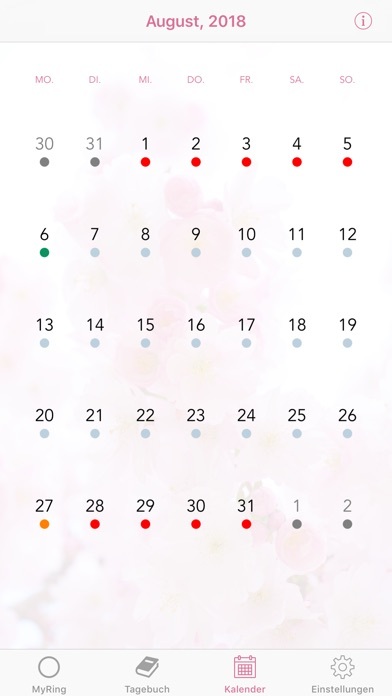 With the integrated calendar, you have an overview of when you need to insert/remove your ring in the future or when it will be that time of the month. 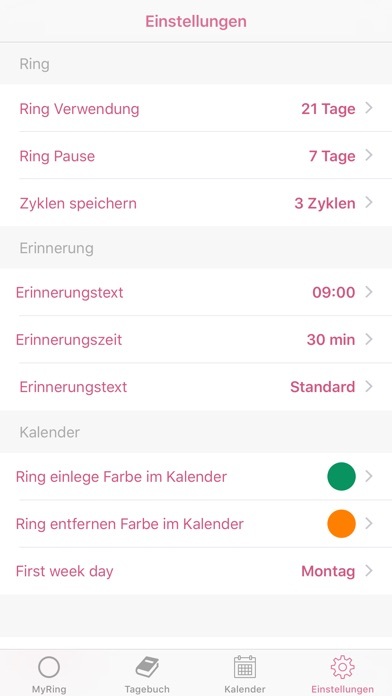 MyRing can be adjusted freely according to your needs, among other things, you can choose your ring wearing time and breaks yourself. 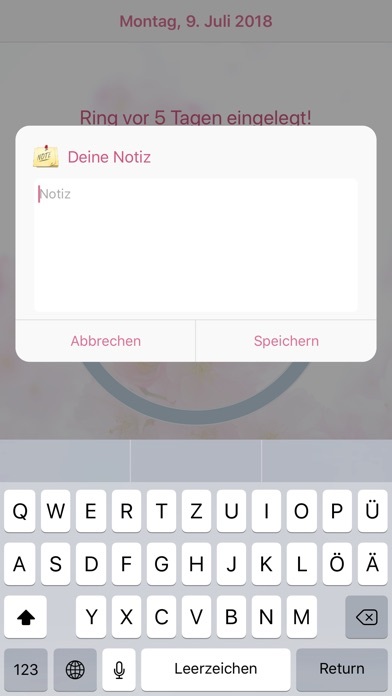 Set at what time and with what message you want to be reminded.